Featuring 7-Eleven section and Blockbuster Video wall, the exclusive celebration is attended by the likes of P. Diddy, Chris Brown and French Montana among others. 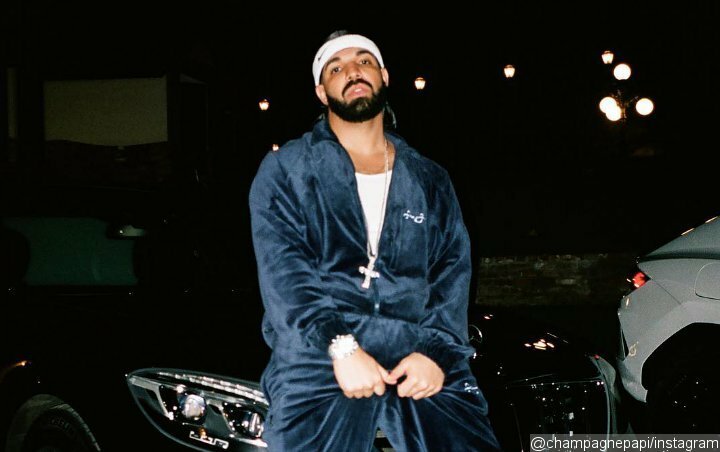 Drake is feeling nostalgic on his 32nd birthday. The “In My Feelings” singer turned one year older on Wednesday, October 24, but decidedly kicked off the celebration early by throwing a lavish 2000s-themed party in Los Angeles the evening before. An Instagram video found on Drake’s official fansite account, wordonrd, gave a sneak peek at the exclusive bash. Slurpee machines, lottery tickets, a JayDees Connection store filled with airbrushed shirts of the rapper, Rap City Booth, 106&Park set and photo booth, as well as a “Sandra’s Rose” room can be found inside the venue. The “Sandra’s Rose” room, in particular, was dedicated to Drake’s mother, Sandi Graham. It was adorned with pink and white bouquets of roses and candles. Pictures of the “Degrassi: The Next Generation” actor and his mother were also displayed in the room. Aside from the venue, Drake also went back in time with his two costumes. The “Hotline Bling” rapper’s first outfit for the evening was a replica of Fabolous‘ getup in 2002 “Trade It All” music video that consists of a blue bandana, gold chains and a blue Los Angeles jersey. The second one saw him donning a dark blue sweatsuit, white headband, and white sneakers. Keeping in line with the theme, the former boyfriend of Rihanna was treated to an old Motorola timeport pager-shaped cake. He also wanted to make sure his female guests did not leave empty handed. It was reported that he gave away Chanel bags at the bash, which was said to be attended by Chris Brown, Swizz Beatz, G-Eazy, P. Diddy, Kendall Jenner, French Montana, and Trey Songz.